The fireback has been an indispensable part of the fireplace tradition in Europe since the 15th Century. The colonists carried this tradition to America. 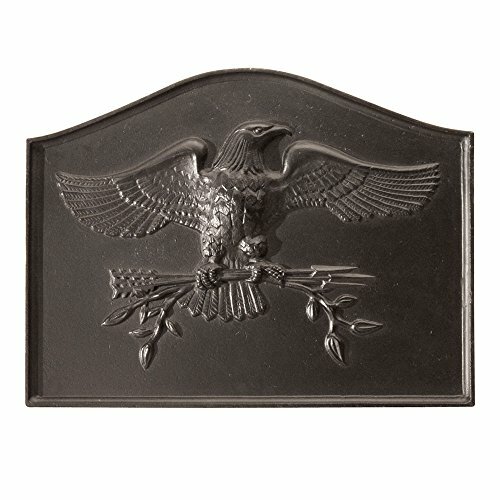 In this fireback, the bald eagle, executed with exquisite detail, brings our nation’s heritage to your own fireplace, enhancing the beauty of the focal point of your room. Firebacks are designed to rest on the floor of the hearth, but Fireback Supports may also be used to hold this fireback upright and raise it off the hearth if extra height is desired. All our firebacks are designed for use with both gas logs and wood burning fireplaces. HY-C RVG3030 Stainless Steel Roof VentGuard with Wildlife Exclusion Screen, 30" x 30" x 12"